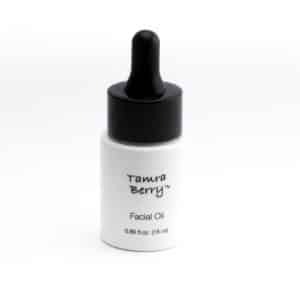 Facial Oil 0.50 fl. oz. Hydrates and balances dry skin. Prevents transepidermal water loss. Provides anti-inflammatory properties to soothe, calm, and nurture skin. Paraben free. Passover approved. Creamy cleanser gently removes impurities. Hydrates and nourishes. Paraben free. Vitamin C Cleanser 4 fl.oz. Rejuvenating gel cleanser dissolves dull surface skin cells. Reduces hyper- pigmentation for a brighter more even skin tone. Paraben free. Hydrating Protection Broad Spectrum SPF 30 1.75 oz. Daily moisturizer intensely hydrates, soothes, protects and nourishes dry, dehydrated skin. Paraben free. Vitamin C Protection Broad Spectrum SPF 15 1.75 oz. Vitamin-C daily moisturizer protects, and brightens skin for a more radiant, even looking complexion. Paraben free. Hydrating Eye Cream 0.5 fl.oz. Advanced humectants provides deep hydration. Softens fine lines and wrinkles surrounding delicate eye area. Paraben free. Vitamin C Eye Treatment 0.5 fl. oz. Vitamin-C eye treatment stimulates collagen, brightens and tightens eye area. Fragrance free. Paraben free. Hydrating Night Cream 2 oz. Intense hydrating night cream. Provides long lasting moisture rich hydration. Protects and soothes dry dehydrated skin. Paraben free.